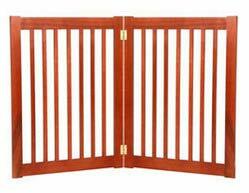 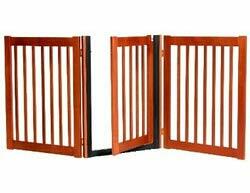 Dog Gates are made of solid pine wood with paint finishes. 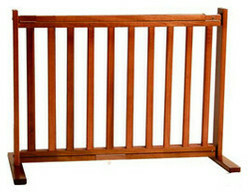 We have step over dog gate, walk through dog gate, free stand dog gate, fixed dog gate, foldable dog gate for selection. 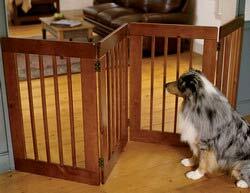 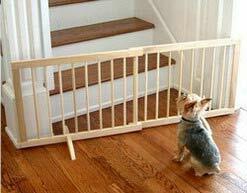 With these simple while functional wooden dog gates, you can keep room tidy and calm by separate dogs or other pets. 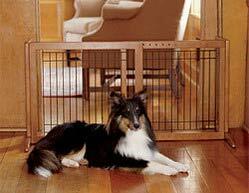 Wooden pet gates easy for set up, convenient for storage.